Born and raised in Tucson, Arizona Jason grew up in a hilly neighborhood nestled up against the beautiful Catalina Mountains where he learned how to hike, swim, bike, and run through the desert landscape, which he loved. As a child and adolescent, one could often find Jason exercising in Sabino Canyon State Park, which his family lived near. His mother (a nurse and artist), step father (a Cornell Anesthesiologist & OB/GYN), and grandparents encouraged little Jason to stay active with sports and to study hard. At the age of 12, Jason decided he wanted to become a dentist, but only if his dream of becoming a professional baseball player did not become reality. Dr. Shroyer stayed focused on that path. After graduating from Salpointe Catholic High School in Tucson where he played basketball, football, and baseball, then he attended the University of Arizona, where he was a student athlete playing baseball for the University of Arizona Wildcats for four years, while earning a Bachelor of Science degree in Finance. Jason’s dream of becoming a professional baseball player was cut short when a professional team didn’t draft him. In 2001, he hung up his baseball spikes, and pursued his second passion, dentistry. In 2003, Jason was accepted to Boston University Goldman School of Dentistry where he study and treated patients for seven years earning his dental degree (D.M.D.) with honors and completing two residencies. 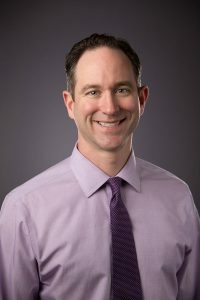 After completing the Endodontic program in 2010, Jason entered private practice and partnered with one of the largest, well known Endodontic practices in the Nation, Southern Arizona Endodontics in Tucson, Arizona. In 2014 Dr. Shroyer decided to move to Texas to live in and serve the Austin Community. Since 2007, Jason had visited Texas often to soak up everything it had to offer from the great BBQ, music festivals, & outdoor activities. In 2014, Dr. Shroyer met with his friend from dental school who had been working in Austin since 2007 treating children and adults in underserved areas. The friend asked Dr. Shroyer to move to Texas to help him grow his practices in Austin. Dr. Shroyer accepted and relocated. In August of 2016 Dr. Shroyer decided to join the team at Gulf Coast Endodontics after spending several weekends visiting his former BU colleagues, Drs. Haddad and getting to know the Houston area. Having an anesthesiologist, a nurse, a dermatologist and a radiologist in his immediate family, it’s not surprising Jason would be inclined toward the medical profession. One of the things he likes the most about his career choice is the direct impact it has on patients’ wellbeing and happiness. In the field of endodontics, many of the patients who come in for treatment are experiencing pain. “Alleviating someone’s pain is the best feeling!” he says. Today Jason walks through the doors of Gulf Coast Endodontics as a team member, eager and equipped to provide the kind of care that caught his eye many years ago. With all of his training and experience Jason is ready for his career in Houston. As a former baseball player with a passion for all things sports, he is eager to once again take advantage of the many athletic opportunities Houston affords, from swimming, kayaking, cycling, running, and golfing. Jason and his wife Tifney are proud new parents to their first born, baby boy Cooper.